Delivery dinners are pretty forgiving. When the fries come a little soggy or the salad has been a little wilted by warm toppings, it’s generally OK. But Wendy’s didn’t want its meals to be “good for delivery,” they wanted them as good as they were in the restaurant. Given the basic physics of delivery, that’s a pretty tough thing to do. But along with franchisee satisfaction, quality was a chief goal for Wendy’s when it was looking for a partner. Toby Espinosa, head of business development, said that it’s energizing to have an operator who wants to emphasize quality. “We love it when our partners take quality as seriously as we do. We believe that superior quality is what keeps people coming back, so it’s our goal to work as closely as possible with our partners to improve our quality of operations,” said Espinosa. The biggest hurdle was just finding the right partner, Seeley said, one that would work closely with the brand. It was something DoorDash is always looking for, too. “The size of operators does not typically inherently change the systems we operate with, it just means we have to collaborate a little more across different teams in order to make sure we cover all the important aspects of the business,” said Espinosa. They began delivery in the summer of 2017 and rolled it out nationwide in November after seeing promising results. “We tested in Dallas, Texas, and Columbus, Ohio. The test never turned off; the read was about three months. Then we turned around rather quickly and started planning how to go as national as you can go with a delivery partner,” said Seeley. 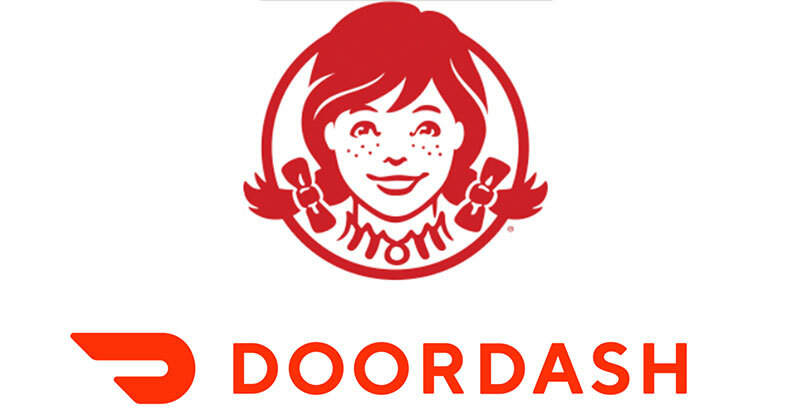 The brand now has coverage in every market DoorDash has. Seeley said franchisees were eager to jump into the delivery mix. “When the franchisees see the model that we set up with them and DoorDash, most of their questions were answered pretty quickly,” said Seeley. “When they saw the results we had a lot of hands go up in the air. Like many other brands and other third-party research, Wendy’s test showed that delivery orders were largely incremental. “They like the results, they will never argue with incremental traffic. As we do in a lot of digital channels we see a larger average check, that’s always a positive,” said Seeley. He said the check was higher even without a minimum order fee. “When you really think about how a customer orders delivery, it’s pretty much understood that it’s not just one person. And depending on the service, some providers have a minimum order fee but we’re looking to avoid that,” said Seeley. “It’s just a natural occurrence when you think about the customer and how the delivery order might be placed for a family or a couple folks. He said given the early success, franchisees are clamoring for more. “We’ve got people asking us to turn it on where it is not available today, they want to go faster,” said Seeley.